The Professional Development Program (PDP) is one of the four pathways that Engineers Australia offers for members to achieve Chartered Status. The PDP is the best way for individuals and for organisations to support their employees, to work through the Chartered application requirements in a structured and supported process. 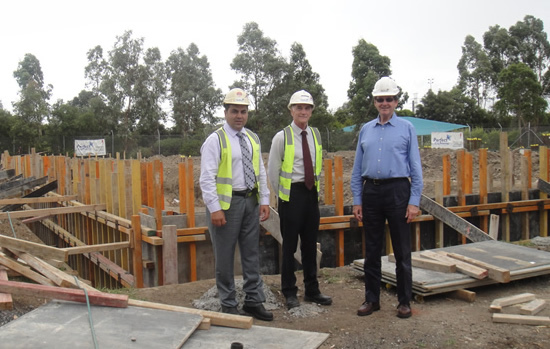 Engineers Australia national president Professor Andrew Downing initially signed a the professional development program (PDP) agreement in 2005. Perfect Engineering is committed to continue this program and we have recently renewed our agreement. The Institution of Engineers Australia, is a professional body and not for profit organisation dedicated to being the national forum for the advancement of the engineering field within Australia. It has over 115,000 members from all engineering disciplines. The organisation began in the late 19th century during the Industrial Revolution, recognising the need for a single body to represent engineers. Its first council meeting was held in 1919. The patron of Engineers Australia is the Governor-General of Australia Peter Cosgrove. Perfect Engineering specialises in the design and construction of civil and structural projects. 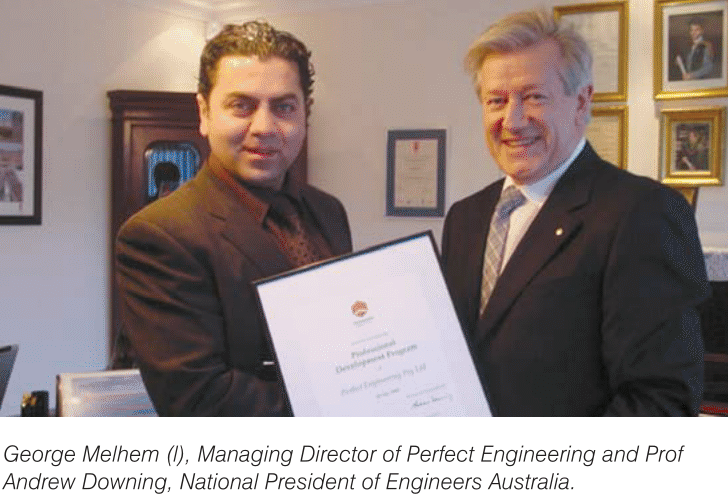 Engineers Australia has issued Perfect Engineering Pty Ltd with the first PDP agreement in 2005. This was followed by the first PDP renewal in 2009, then another renewal on 29th May 2012, and then in 2015. We seek renewal in 2018. 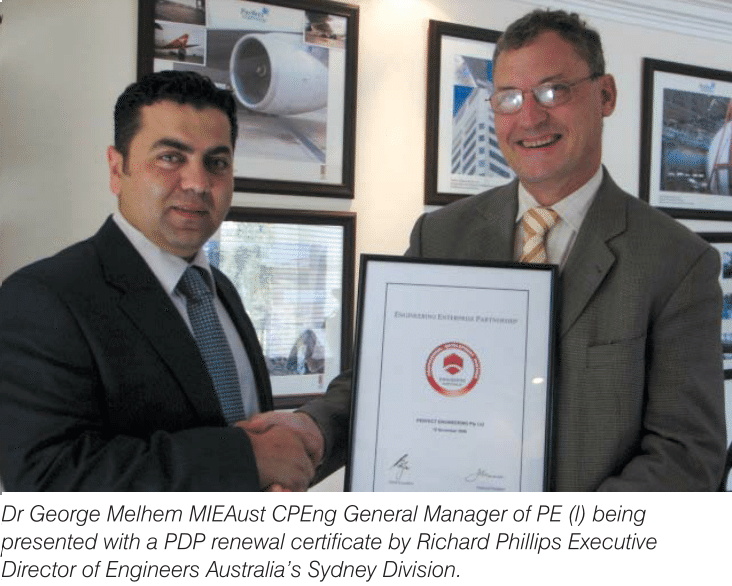 The renewal of PDP agreement with Perfect Engineering was signed by the company's managing director Dr George Melhem. Please click here to view Perfect Engineering PDP agreement.